Inevitably, at some point in your driving career, you will get stuck. It happens to the best of us and when it does, there are some simple solutions you can try to get back on the road. Do you know how to “rock” your car? No, this is not in reference to turning up the music and car dancing at the stoplight. 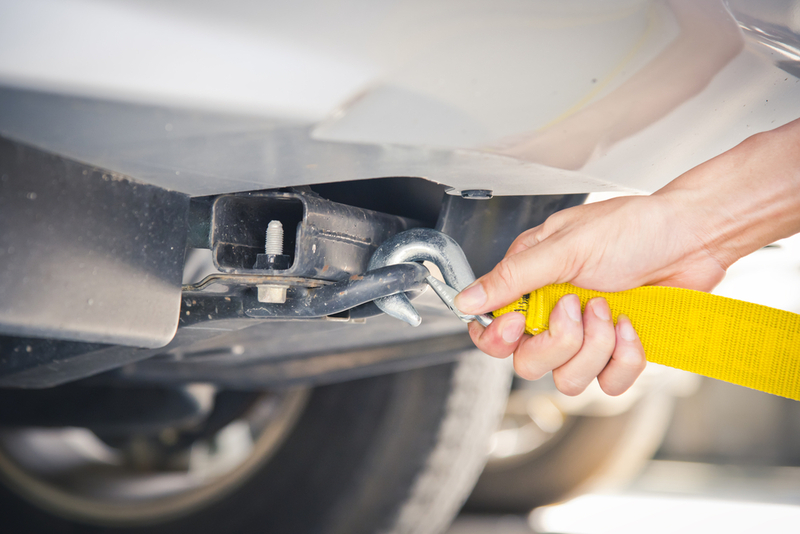 Rocking your car is gently moving your vehicle back and forth in an effort to gain some traction and move your tires out of the rut. It also happens to be one of the easiest and best ways (when done right) to get out of a jam when road conditions have you stuck. I’ve used it while driving both manual and automatic transmission vehicles and it worked like a charm. Start by keeping your steering wheel straight and slowing going in reverse as far as possible without digging yourself in further. Then, apply the brake, put your vehicle in drive and slowly go forward as far as possible without digging in deeper. Continue switching back and forth between reverse and drive until your vehicle catches and can drive out of your situation. If rocking straight doesn’t work, try rocking with your wheels turned to one side or the other. Be sure to check for obstacles first. You don’t want to gain traction only to drive into another ditch, tree or other complication. Rocking is a great place to start if you’re stuck, especially since you remain in your vehicle to do it. But it doesn’t ALWAYS work. If you’ve tried it, but you’re still stuck, it’s time to start digging. Yes, that’s right. I said digging. Your tires are unable to gain traction in their present state, so it’s time to change the state in which they currently exist. Depending on how stuck you are, you may not need to dig much. The assistance of sand, kitty litter or cardboard may be beneficial as well. As you dig your tires out, spread some sand or kitty litter to help them have something to grab onto for traction. A piece of cardboard, stuck as far under your tires as you can get it, might also help. So, what do you do if you’ve tried rocking and digging out your tires, but you’re still stuck? At this point, I’m sorry to say, it’s time to call for help. Of course, the best course of action is to avoid getting stuck to begin with – drive slow, don’t jam on the brakes, steer into a skid, etc. But when the inevitable happens, these tips may be just the thing to get you moving again.